For those already part of the Burt’s Bees cult-following, you’ve probably already heard about Burt’s Bees Lip Shimmer that not only moisturizes, but gives lips a nice pop of color at around $5 a stick (depending on where you buy). Made with Vitamin E, coconut and sunflower oils, and the beeswax that Burt’s Bees are named for, these Lip Shimmers promise to give your lips all the moisture and color that nature has to offer. 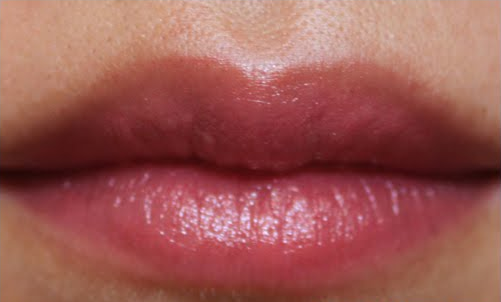 The color (I mainly use Rhubarb) comes off as a shimmery tint that is more pearlized and glossy than it is matte. Great for everyday color for those who want a little bit of adventure when it comes to lip shade, but nothing too wild. For those on whom lipstick can be drying, these Lip Shimmers can serve as a better option. It also leaves lips with a slight peppermint taste. What I especially like about Burt’s Bees Lip Shimmer is that you have some control over the color and can layer on more product for a more dramatic look if you so desire without the product getting too heavy or messy. I always think that being able to layer a product for different effects definitely adds to the value. At first I was a bit doubtful about this product because of its small package– a measly 2.76 g for $5-7. However, it lasts! And since I keep switching between colors depending on the day, it lasts even longer. A word of caution with this product– though it does advertise itself as both a balm and a color tint, it should not be used on those with severely dry or easily-chapped lips. I usually have to make sure I thoroughly moisturize before I use Burt’s Bees Lip Shimmer or dry flakes will be more highly pronounced when the color balm sweeps over it. The Lip Shimmer is mostly good for maintaining moisture while adding color rather than being a reliever for chapped lips and providing needed moisture. If you are a fan of the Burt’s Bees Collection, but suffer from severely chapped lips, try Burt’s Bees Medicated Lip Balm with Eucalyptus Oil. Or if you don’t care so much about brand, petroleum jelly has always been my go-to to battle those winter lips. Also, as a balm, Burt’s Bees Lip Shimmer will not last all day, but like any balm, it is very easy to swipe on at any point during the day. 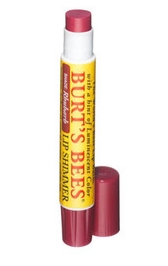 Overall, as a drugstore product at drugstore prices, Burt’s Bees Lip Shimmer is a must-have in my makeup collection. And coming in 12 different shades that are constantly being updated, it gives cheap variety to my balms– and who doesn’t love a little variety?